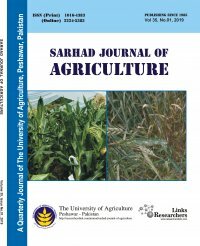 After completion of review process, if the article is accepted for publication information will be passed on to the first/corresponding author. After payment of publication/printing charges of Rs. 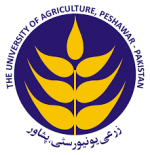 1500 from the faculty and students of The University of Agriculture, Peshawar, and Rs. 2000 from outsiders for five pages and Rs. 500 per any extra page, articles are processed for publication. * Please note that authors from outside Pakistan (international) are currently exempted from both processing and publication charges. Manuscripts are only accepted based on scientific merits and this exemption will not effect the editorial decisions on the manuscripts. To qualify for this exemption, all authors of a manuscript must be having foreign affiliations.